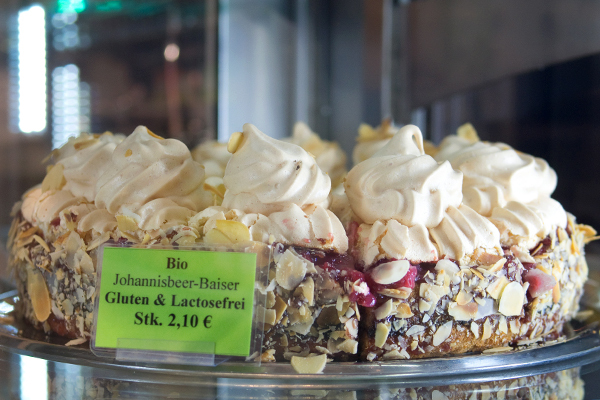 For a slice (or several) of gluten-free heaven in Berlin, head to Friedenau, at the quiet southwestern edge of the city. 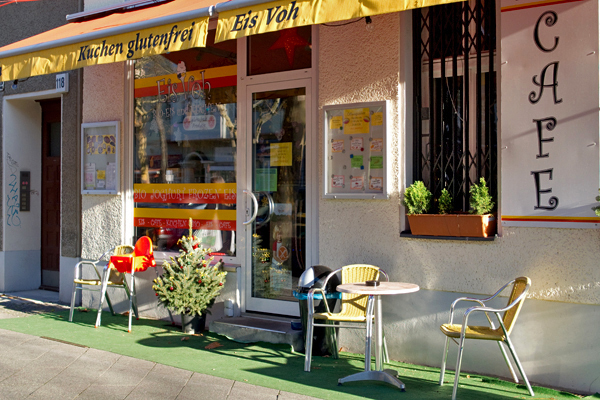 There you’ll find Eis Voh, a small gluten-free café that specializes in ice cream, soup, and, best of all, cake! Eis Voh offers 8 to 15 different cakes each day, each one uniquely delicious. All are gluten-free, and many are organic (bio) and/or lactose-free as well. Each cake is clearly labeled to ensure that customers can make informed choices. Prices are quite reasonable as well, so don’t hesitate to try a few slices! 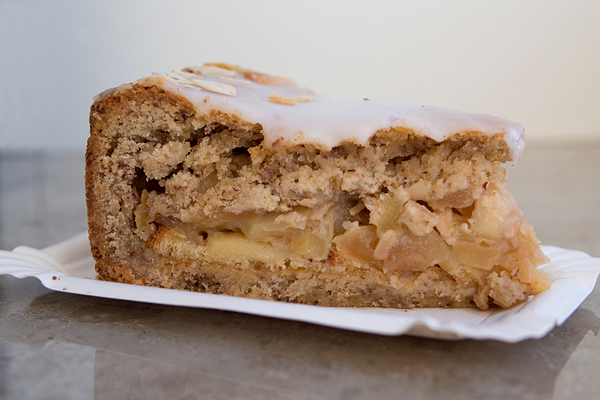 The apple cake is a definite standout. With its slightly sweet and spicy apples, substantial almondy crumb, and touch of icing, it makes for an excellent breakfast (or anytime) cake. 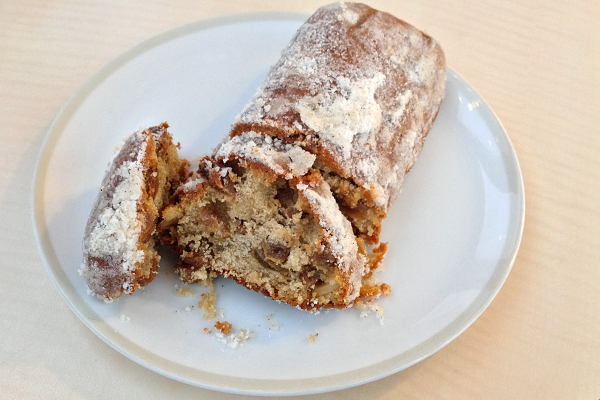 During the Christmas season, Eis Voh bakes a tasty gluten-free stollen, the classic German holiday dessert. Studded with juicy raisins and covered with powdered sugar and cinnamon, this version is a must for your holiday festivities. 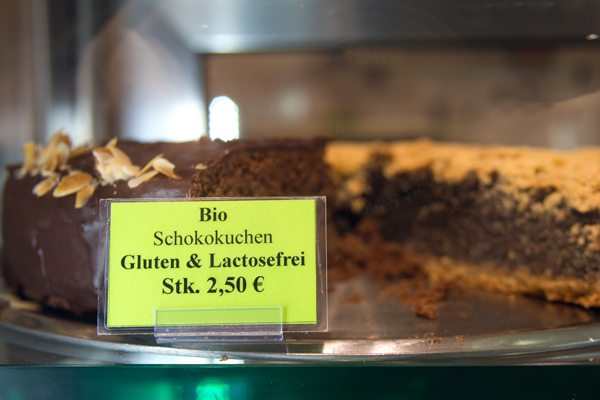 Eis Voh offers cakes to go or to eat in the café. In warm weather, outdoor seating is also available, so gather some friends, soak up the Berlin sun, and enjoy your fill of gluten-free cake! Where? Eis Voh is located in Friedenau: Bundesallee 118, Berlin (+49-30-85402065).